No article I have written recently has gotten me such e-mails and Twitter comments like the Pass or Play: Mike Napoli piece, particularly my assertion that “Napoli is a better offensive and defensive first baseman than Howard at this point in their careers.” Also asked is why would I even highlight first base as an area of need. I’ll answer the latter first: the Phillies, from 2010 through 2013, were the 27th most productive team in Major League baseball at the first base position according to FanGraphs. This sample includes two healthy years from Ryan Howard and two not-healthy years from Ryan Howard. The not-healthy years, 2012 and 2013, would, as you expect show the Phillies as a team of disarray at first base, ranking 23rd in batting average, 23rd in on-base percentage, 17th in slugging, 21st in wOBA, 23rd in wRC+, and 24th in defensive runs saved. From 2012 to 2013, the Phillies ranked 27th among MLB teams in fWAR, including their surprising 19th place finish in 2013. 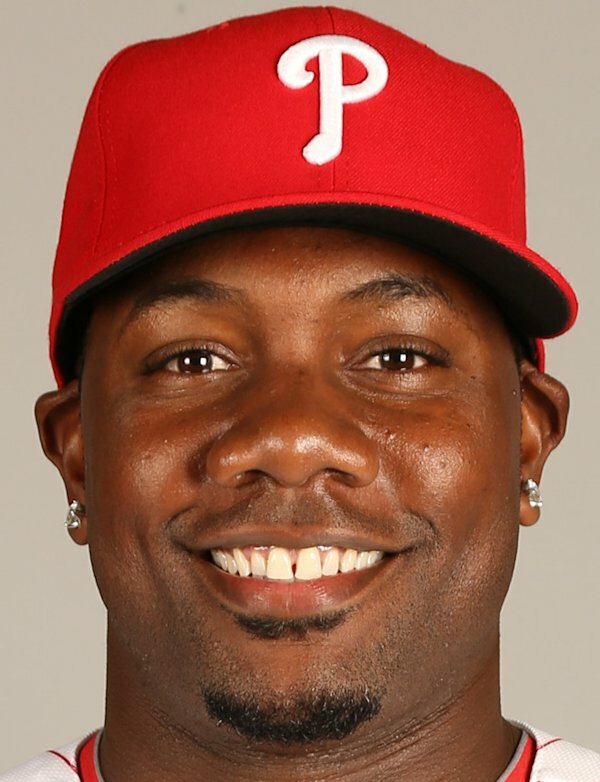 But an interesting thing happens when comparing those numbers to 2010 and 2011, when the Phillies had a healthy Howard: they’re not nearly as far apart as you would think. Their batting average rank is 14th, on-base 18th, slugging sixth, wOBA eighth, wRC+ eighth, and 26th in defensive runs saved. In most cases, the Phillies simply slipped from the middle of the pack, with some above-average power numbers, to firmly below average at first base over the course of four years. This is not to bash Howard or advocate signing Napoli, these are simple facts. These facts add up to the following: there is an elephant in the room. There has been no production from first base since at least 2012 and, arguably, that may date back even further to 2010. While teams are signing Napolis, making smart trades for a bounce-back guy like James Loney (.299/.348/.430, 2.7 fWAR in 598 PA for the Rays), finding Brandon Moss on the scrap heap (.256/.337/.522, 1.9 fWAR in 505 PA for the A’s), or finding Allen Craig in their farm system, the Phillies are stuck with one of the worst first base situations in baseball. And if they want to compete in 2014, they need to do something to address it that isn’t “hope Ryan Howard turns into 2006 Howard”.